The Game Boy Advance just recently turned 15 years old, with that first model kicking off what would be the last Game Boy 'family' or systems, at least so far. It would be a platform that would take Nintendo's portable offerings forward in leaps and bounds, not just in terms of raw power but also conceptually. In various (and sometimes limited) ways it embraced wireless trading in Pokémon, connected to the GameCube, introduced a primitive precursor to NFC and amiibo with its eReader cards, and the SP model included an internal rechargeable battery and a clamshell design that would be emulated by the DS. An area we skipped over in our Anniversary post was the games library, which we summed up as marvellous but avoided detail. That's because we wanted to highlight some of its gems here and also enjoy the chat and voting around the portable's finest games. We've picked ten games that we think represent some of the best and most varied options on the system; naturally we've had to leave plenty out - that's what the comments section is for. So, without further ado, below are ten GBA games we think you should play. Our draft top ten also had Metroid: Zero Mission, which is also fantastic, but two Metroid games in the list wouldn't have gone done well. In any case, Fusion was entirely new and is fondly regarded by many (including this writer). More linear than its predecessors, it ramps up the tension due to the pursuit from SA-X, a deadly doppelganger to Samus. In terms of narrative and writing it's actually not a million miles away - in tone - from aspects of Metroid: Other M (sound the blasphemy klaxon), but courtesy of its polished 2D gameplay and lighter storytelling touch its generally regarded far better than the Wii game. You can swap this out for Advance Wars 2: Black Hole Rising if you prefer, but we've listed the original as it's naturally a great starting point. This franchise sees Intelligent Systems apply its strategy chops to modern (but still fantastical) warfare, with unit types and environmental concerns all being important in the turn-based strategy. This first entry is perhaps slightly fairer than its sequel (though it's all subjective) and also has unlockable and more difficult missions to take on if you have the skills. The first entry in what has become a regular series from AlphaDream, this is an RPG series that has developed a key identity and storytelling style of its own. When GBA games were confirmed for the Wii U this was a title that was loudly demanded by many (and delivered). Not only does it deliver the timing-based turn-based battles we're now used to, but this entry still stands as exceptionally funny and host to a great cast. It's a game all Mario & Luigi fans should play. This is an odd entry, as it's one of many classics ported / remastered on GBA, and we're actually recommending the Wii U Virtual Console version. That's because it has 38 extra levels that back in the day required eReader cards. Even better, a lot of the levels didn't even get cards in all regions, so now we all win. Beyond that it's another version of Super Mario Bros. 3, which is no bad thing. This is actually the third of the GBA trilogy of Castlevania games, so if you want to go from the beginning pick up Castlevania: Circle of the Moon and then Castlevania: Harmony of Dissonance first. All offer fantastic 2D Castlevania gaming on the go with solid combat and RPG elements. This is a terrific series of games, and Aria of Sorrow arguably represents the most refined GBA entry courtesy of improvements over its predecessors. This is the first game on our list that necessitates an early DS or actual Game Boy Advance to play, as it sadly isn't on the Wii U Virtual Console. Effectively a port of one of the Dreamcast's most beloved games, this is one of many excellent SEGA games from the early noughties era. In single player it's an engrossing puzzle game in which you guide space mice to safety with carefully placed directional tiles, and in multiplayer it's mayhem - a lovely game. A Capcom-developed entry in the series that most certainly stands up with fellow 2D Zelda titles, this one's big on charm and clever design. The main gimmick this time is that you can shrink down to a tiny size, which gave the development team plenty of scope for intriguing areas and dungeons. Colourful and with a fabulous soundtrack, this offers some excellent portable Legend of Zelda gaming. We felt legally obliged to include a Wario title, and this one narrowly beat out Wario Land 4 and WarioWare Twisted!, the latter mainly because it never saw release in Europe. As for this one that did make the cut, it delivers frantic minigame challenges with a humorous style. Fast paced, chaotic and hard to put down, like its successors this is a game that should certainly be experienced. We've chosen this one above its GBA successor as it was the first series entry to arrive outside of Japan - the franchise had previously been long-established on home consoles. As the Western debut this is as good a start as any, albeit turn-based strategy veterans will need to settle in for plenty of exposition and tutorial-style segments early on. It looks and sounds great by GBA standards, though, and provides a handy reminder of the series' origins in this modern age of 3D models and DLC. Here's our obligatory left-field - perhaps less common - choice to round out this list. An action platformer published by Konami and developed by Hudson Soft, it has projectile weapons, melee sword attacks and a grappling hook as core gameplay mechanics. You also rescue hostages and grab collectibles, and with some old-school design and awesome graphics and sound this is one of our GBA favourites. So there you go, ten games we highly recommend for GBA, though the list could have been double the size and not struggled for quality. Vote for your favourite out of these in the poll below and talk over all of those that missed out in the comments. Which of these GBA games do you like the most? Metroid Fusion Advance Wars Mario & Luigi: Superstar Saga Super Mario Advance 4: Super Mario Bros. 3 Castlevania: Aria of Sorrow Chu Chu Rocket The Legend of Zelda: The Minish Cap WarioWare, Inc.: Minigame Mania! / WarioWare, Inc.: Mega Microgame$! Fire Emblem Ninja Five-O / Ninja Cop They're all terrible, begone with you! The lack of Golden Sun is an almost unforgivable omission. @PanurgeJr I was about to say the exact same thing. I can't even think about GBA without thinking about Golden Sun at the same time. Golden Sun and 3rd Gen Pokemon. And the GBA ports of the Final Fantasy games. I could probably think of others. Final Fantasy VI Advance. a definitive version of a timeless RPG classic. The pinnacle entry of the FF series on Nintendo hardware. FF6 provides a refined turn-based combat system, in an open world setting, wrapped up with an engaging cast of different characters involved in a rich plot of identity and survival that SquareSoft never achieved before it. Or (arguably) since. A cleaned up and enhanced translation that really makes the unforgettable plot shine through, additional post-game content, and a few extra bonuses give a real shot in the arm, even if you’ve played the original game before. Hmm... You forgot Pokémon FireRed/LeafGreen. Classics. There are so many great GBA games, I couldn't narrow them down to a list of just 10. But it does make me want to play GBA games again. It appears I might be the first to comment... or at least amongst the very first. I have experienced a few of these games, and some I did enjoy, but they were not amongst my first thoughts when it came to the Game Boy Advance. The games I thought of upon thinking of the Game Boy Advance include Dragon Ball Advanced Adventure, Kirby & The Amazing Mirror, Shining Soul II, Gunstar Future Heroes, Boktai, Pokémon Sapphire (as well as the Ruby and Emerald versions) and the whole Sonic Advance series. Seeing this article, those were the first few GBA games that popped into my mind. @Lugia Yes you did. Your name is Lugia! @Lugia Woah....that's a lot of Pokemon there. And its shocking to see that Pokemon didn't make it on this list. oh well, that's what the comments are there for. I love the GBA as well as the DS. Both these dolls have great games in them! Another call for Golden Sun. I have voted for Metroid Fusion, simply because it was my first Metroid game and without it I would not have experienced the sublime Super Metroid and Metroid Prime. I have never understood the negativity around it, it had the atmosphere in abundance (the dreaded SA-X!! ), great exploration and hardly any story telling. @Socar haha yeah! Didn't realize I was posting every time I hit "reply"
Friends of Mineral Town anyone? Hmmm, Advance Wars. I own most of these games. Chu Chu Rocket is pretty cool. Golden Sun and Metroid Fusion make GBA what it is. The lack of Mario Golf: Advance Tour depresses me. (Not a fan of Golden Sun). No Mario Tennis or Golden Sun!? How dare you! Anyway, Minish Cap and Superstar Saga share No. 1 for me. Yeah, Golden Sun is a quintessential GBA game. And that's coming from a guy who doesn't really like RPGs. I know the 3DS has great games but i just don't know if majority of those games are memorable compared to the GBA. @shonenjump86 I'm glad to see I'm not the only one that loved Astro Boy. leave it to Treasure to make a licensed game that feels like it has its own identity. Got most of these, although personally I preferred Zero Mission to Fusion; although both are brilliant. Perhaps the only I would add (based on my opinions and tastes alone) is Mega Man Zero 2. I actually never heard about Ninja Cop until a collector friend of mine mentioned it as his only reason for having a GBA. He went on to sell his collection and that game alone went for £150. His discovery of the Retron 5 has since made him slightly regret that decision. I'd love to see it return in the form of a VC title but being published by Konami that immediately makes this future path a questionable one. Ninja Five-O is, without a doubt, one of the most under-appreciated video games of all time (maybe tied with the Game Boy Color version of Daiktana). Not underrated by critics, mind you, but completely under the radar. Picked it up a few years after it came out and it's easily my favorite non-rpg GBA game. Twas another great handheld by Nintendo. I personally chose SMA4:SMA3 here, despite it being basically a remake. Just couldn't help it. On another note though, even though Zelda is probably my favorite game series ever, Minish Cap was kind of forgettable for me. I really don't know why. Maybe because it's one of the few I have only beat once. A Link's Awakening and A Link Between Worlds are the best handheld Zelda games for sure. Back to GBA though...Wario Land 4. Enough said. Great game all around. Kind of wouldn't mind seeing Suoer Circuit up here too myself. Glad to see Minishcap winning. It is easily my favorite among the Zelda series. GBA had some amazing titles, as well as some great remakes(fire red, leaf green, FF, ect). Golden Sun should be there. I will also take that Minishing Cap as a second and all those Castlevanias from the GBA. I recommend all the Sonic Advance games. Probably the best Sonic has to offer, but so few have actually played them. Sonic Battle was ok too. Wouldn't put it in a Top 10 though. Fire Emblem, Minish Cap, and Golden Sun. Wheres Golden Sun on this list so far its terrible and where is the sonic advance titles. I never played Minish Cap, hopefully GBA games come to the New 3DS so I can rectify that. Voted for M&L SS, one of my favorite games of all time! A couple of months ago I decided to replay it after something like 10 years but I dreaded it would ruin my memories about the game; well, it simply didn't. It's as good now as it was back in the day, it hasn't aged at all. The graphics are still amongst my favorite sprite-based ones, the animations are fantastic, the music and sound effects are genius, the story and dialogues are hilarious...and, most importantly, the gameplay is incredibly fun. It's something really unique, that sets this series apart from every other RPG. This article reads like an advertisement for the WiiU virtual console. Of course there are going to be some obvious omissions when they choose only 10. I had good times with the Spyro games and Broken Sword. Some catching up to do on Wii U too. Astro Boy: Omega Factor is my favorite GBA game. But I chose Mario 3 on the poll. Where is Drill Dozer? And I agree with above comment about Astro Boy; Treasure at it's best!!! Voted for Advance Wars before I noticed Minish Cap. Oh well, both are really good. Games I spent the most time playing were Pokemon, Advance Wars, FFTA and the awesome Friends of Mineral Town. Fire Emblem, one of my favourite games of all time let alone the GBA! Been loving it on my micro and it's the game that got us an amazing series! Seriously the game does just about everything right! Shame no golden sun or 3rd gen Pokémon I loved emerald? Seriously, how do we get Nintendo & Konami to release Ninja Five-O for the Virtual Console...I'm not gonna spend $200 for that cartridge. Advance Wars is my favorite on the list and one of my favorite games of all time along with Advance Wars 2. Thanks for reminding me that Fire Emblem is on the Wii U VC!!!!! Still one of the best game libraries, though GameCube is also great. Superstar Saga is my choice, though both Fire Emblems, Advance Wars, Aria of Sorrow, so many more, they're all great. I have to agree with the strange omission of Golden Sun. It was by far my most memorable game on the GBA. It was definitely one of those games I continued to play on the DS . But Chu Chu Rocket gets my vote. I still play Chu Chu Rocket on my Dreamcast. In my opinion, Mega Man Zero 3 is by far the best original platformer on the GBA. Wario Land 4 isn't in the top 10? That was the first game boy advance game I played, and still one of my favourite. It was a very creative platformer with a lot to explore and lots of secrets. Plus, Wario's transformations mix things up, and the mini games and bosses were brilliant. Plus, I also really enjoyed Rayman Advance. It may have been a watered down version of the original PC game, but it's still fun and has a unique charm. I nearly forgot, but at least one pokemon game deserved to make this list. Hoenn is still my least favourite region, but Ruby and Sapphire are still fantastic. Plus, Emerald had the very first Battle Frontier. This list needs more "Double Dragon Advance" and "River City Ransom EX". Fire Emblem (Blazing Sword) truely is an excellent game. Captures the spirit of the series, the Fire Emblem essence. The modern games ain't got nothing on that. Fire Emblem!!! Best games on GBA in my opinion! @FierceRagnar I agree. The modern ones are good, but they don't capture that Fire Emblem feel like Blazing Sword and Sacred Stones do. To me, Metroid Fusion and Zero Mission are by far the two best games on the system and would both be on my list. Minish Cap is a good 2D Zelda, so deserves to be there. The Fire Emblem games are brilliant, but obsessive. Can't make up my mind how much I like the GBA ones. An essential GBA game for me is Final Fight One. It plays so well, and Alpha Cody is awesome. Finally, I never managed to get my hands on a copy of Ninja Five-O, but it's definitely the GBA game I most want to try. The GBA was a brilliant machine. Like the SNES, it has loads of simple, 2D games that keep their shine. Some of my favorite GBA games include the Sonic Advance 1-3, Megaman Battle Network 1-6, Megaman Zero 1-4, as well as the Kirby games. I really need to play some of the classic Metroid and FE games when I get the chance. Kind of lame that you guys threw in a remake (SMB3). I know it's the best version of the game, but I would've liked to see an original GBA game instead. Nah. remakes and ports should be allowed if the game is among the best of the GBA. Great games shouldn't be exempt from a list of great games just because they're not original games. Geez.. I was expecting some unknown gems, those are all the ones we already know about. Gunstar Future Heroes and Astroboy MIA. Sonic Advance 3, Sonic Battle, Mario Vs. Donkey Kong, and the Spyro GBA games are my favorites. I haven't played all the games listed in the article, but I choose Superstsar Saga, even though I've only played it on my Wii U. Without Golden Sun, this list is incomplete! Such a timeless classic, with a lot of charm and a very enjoyable mix of story and gameplay. Still hoping for a fourth installment to finally get to know Alex. where's metroid zero mission at? @bezerker99 I wish they put the NES and SNES ones on vc too on 3ds(snes on new 3ds and Wii U . No mention of Pokémon Ruby/Sapphire/Emerald or the excellent Game Boy remakes FireRed/LeafGreen? Blasphemy! No Nintendo handheld top 10 list can be without a mention of the iconic monster battling franchise. While Ruby and Sapphire have their own 3DS remakes, the Emerald Version still offers an altered Hoenn region storyline and additional challenges even OmegaRuby and AlphaSapphire do not have, making it well worth at least one playthrough even today. FireRed and LeafGreen offer the definitive version of Pokémon's original Kanto quest, with many features and new areas that provide a streamlined experience that holds up much better than the recent VC Game Boy versions. Then there's Mario Kart Super Circuit, a sadly overlooked entry in the series packed with lots of content and great Mode 7 visuals. You will find yourself hard-pressed to find a better racing game on the system. One of the coolest things is that you can unlock the tracks from Super Mario Kart, doubling the number of playable tracks in the game. While Retro Cups are a staple of the series nowadays, it was quite a surprise back in the early '00s. The new tracks include some serious creativity, including one made out of gift ribbons and a desert made of cheese. And let's not forget Golden Sun and Golden Sun: The Lost Age; two fully realized and visually gorgeous JRPGs that form one two-parter story. In any top ten list they should be treated as one game and they are best experienced when played both back-to-back in a single playthrough. The Djinn system provides plenty of experimentation and gameplay depth. You can find these spirits throughout your quest, collecting them as if they were Pokémon. You can either use their powers in battle or put them on standby to summon powerful spirits. The trick is to combine the four different elemental types of Djinni to get different powers or unlock new summons. Golden Sun builds on the legacy of - and feels like a homage to - the great JRPG classics of the SNES era, like Final Fantasy VI or Chrono Trigger. Just be prepared for some annoyingly long dialogue. A list of great games. There really were a whole lot of genuinely brilliant games on GBA. What? No mention of hot potato? I am missing Super monkey ball and Doom II, yes Doom II on the GBA is amazing! It would propably not be as much fun on the VC or something but on the GBA's screen it's seriously a blast to play. ninja five-o/ ninja cop is very hard to find these days. I would also like to add Boktai2 solar boy django, Mario golf Advance tour, Tony hawk pro skater 2 and the 2012 TMNT movie tie in game. and ofc the reason, for better or worse, why the GBA is also known as the 'Gameport Advance' a whole bunch of snes ports like Breath of fire II, Blackthorne, Super Dodge ball, Street fighter 2 etc. I have to be honest, I've never really understood what people see in Minish Cap. It's not bad at all, but I just don't think it's particularly good. One of the more forgettable main series games in my opinion. @CrimsonMoonMist I agree, the Mega Man Zero games are real gems. My favorite would be a toss up between 2 and 4. Wario Land 4 is at least known and popular enough to be on the list. But Minish Cap got my vote, I think Wario Ware can get 2nd place! I picked Super Mario 3, but all of these games are fantastic. Even games not included are fantastic (the Final Fantasy games, the Golden Sun games, the F-Zero games, Mario Kart, Sonic Advance, Gunstar Super Heroes, Super Street Fighter II Turbo, and the rest of the Mario Advance series). And of course, A Link to the Past. So glad Ninja Five-O got some love. A very underrated game that was a staple in my old GBA Library. Another series few played that I wish had more exposure- Super Robot Taisen: Original Generation. Just to say, and echo some fellow gamers above, Final Fantasy Advance series is legendary in the whole suite of gaming libraries. FFI, FFII, FFIV, FFV and FFVI Advance were created as the new templates of the original FF games that would be seen as the new starting point for all future remakes of these five games. All were created to be the first attempt of remastering these older titles. Indeed, when later remakes for these games were made for other platforms, it was the Advance versions that became the defacto template standard. On the Sony PSP, FFI, FFII and the amazing FFIV Complete Edition (three games!) all took inspiration and foundation from the Advance versions. Only FFIII was omitted due to the odd naming issues back in the day, but it did come back as a DS game and influenced the FFIV DS version, which is an alternate reality version to FFIV Complete Edition. All the Android and iOS versions too were based on the work the original team who created the Advance ports did. Man, so many games I wanted to choose at once but I went with Metroid Fusion now. Decent list! If anything, I would remove the ports (Super Mario Advance and Chu-chu Rocket) and add Boktai 2 and Mother 3 (even though it never received an official translation). Seriously though, Boktai on GBA was groundbreaking to me in a way no other game has been since. If you can track down Boktai 2 and an old non-backlit GBA, spend some time in the sun and play this great action-rpg. Golden Sun and Golden Sun: The Lost Age were my favourites and I've played them recently to prove they stand the test of time. When I played The Minish Cap I was disappointed with how small the overworld is compared to the Zelda games on the GBC. Haven't played Advance Wars, think I'll have to get it because I feel I'm missing out on that one. Would really like Ninja Cop too but hoping for a Wii U VC release. One missing gem I'd say is Sabre Wulf, I really enjoyed that. @liveswired ooh Astroboy, that was awesome too! If I were including ports I'd put Adventure of Link. I had a great time playing that in the hotel on business trips. @sketchturner aah wade hixton counter punch the 'poor mans' punch-out. A fairly solid list, but it's missing some Pokemon and Mega Man Battle Network. haha pretty much came down here to point out Golden Sun is missing...like many other people! You can't go far wrong with Mario Kart: Super Circuit either. Guess I'll join the Golden Sun bandwagon.... hands down my favorite (and most time-consuming) game for the GBA back in the day. I'll second the vote for Sabre Wulf as an underappreciated game. And Astro Boy and Drill Dozer as well. I was lucky enough to get one of those Rose Colored Gaming GBAs with the AGS-101 backlight mod a year or two ago. It's a dream playing GBA games on that thing. Wait a minute, I've just remembered Double Dragon Advance. I never played it, but it looked like the best version of Double Dragon a Nintendo machine ever got. I really hope they put it on NX Virtual Console. If Ninja Five-O was on Wii U VC, it would probably cost about the same to buy a Wii U than to buy the original game. Wario Land 4 has nothing to do with the Ware games and should be considered apart. And the Rockman Zero series earned at least one place in this kind of list. @KomrathDE Amateur programmers have made it possible to encapsulate any GBA rom with the Nintendo GBA VC application for 3DS into a CIA file (eshop installation file for 3DS). Every game I tried ran perfectly. I love the design of the GBA. If Ninty went with something similar but updated for their next handheld console I'd be super happy! I was going to question the lack of Pokemon but obviously you guys didn't include them to give some other games a fighting chance . Between my old GBA collection and the 3DS Ambassador games, I own most of these. Advance Wars would have to be my favorite from this list. I first played Dual Strike on the DS, and then went back and got the first two (and later on, the 4th). I wish they would make a new one. It's easily one of my favorite portable franchises. As for my favorites not on this list, I'd have to go with Pokemon (Gen 3 and the remakes) and Drill Dozer, with honorable mentions going to Harvest Moon: Friends of Mineral Town, Mega Man Battle Network 3, and a handful of licensed games (Yu Yu Hakusho, Dragon Ball, Zoids, Duel Masters, etc). I did so enjoy those old anime games. Chu Chu Rocket feels like a bit of a waste when something like Golden Sun or the stellar port of FFVI could have been included, but it's still a pretty good list. I especially like the inclusion of Ninja Five-O. I've been playing more GBA games lately. It really was a great handheld. @TheOneInYellow yeah, I know what you mean. I guess it was because those games got crunched hard in the music department (so tinny and disappointing! ), and the graphics were brightened so much it washed the colors out. But the games were still as good as ever, and FFV had the best extra content, it's Sealed Temple put both Lunar Ruins and Den of Dragons to shame. Though the Lunar Ruins did inspire FFIV's After Years. They didn't put Pokemon on here because odds are, if you have a GBA, you have Pokemon. @Ralizah Chu Chu rocket is an amazing puzzle game with all the 100 lvls of the original game plus 2500 user lvls from the DC online service multi-player via link cable and a level editor to boot. This is a very impressive and complete package for a cartridge based handeld like the GBA. But I agree that the golden son games are amazing, don't get me wrong but I understand why they picked ChuChu rocket. Love a lot of games of that list! But among them, Fire Emblem and Castlevania are among my favourites (why, Konami, why?!). Anyway, as everyone has said, the lack of Golden Sun and its sequel is almost criminal. Those two are real masterpieces. I can't believe Mother 3 has only been mentioned two times. Where is Konami Krazy Racers? I find your lack of Golden Sun disturbing. Well i played four of the games on the list which were Advance wars, Metroid , Fire emblem and Castlevania but really i think your forgetting some jewels for this list. Mario Golf: Advance Tour and Mario Tennis: Power Tour are missing from this list. Please fix it. There is no list without Golden Sun or Pokemon. This list is dead to me. Ugh, the Minish Cap was boring, a huge step down from the Oracle games. My vote went to Aria of Sorrow. @khululy I don't care for Chu Chu Rocket, but ymmv, I guess. Another vote for Friends of Mineral Town. Quite possibly the 2nd best Harvest Moon game after HM64. Super Ghouls and Ghosts that had graphics based off the snes game but also had the different stages from the Genesis version. Also, agreed with everybody naming the Golden Sun games. Those were really good. Other than that, one of my personal favorites is Shining Force, another title that I have played for months on end. 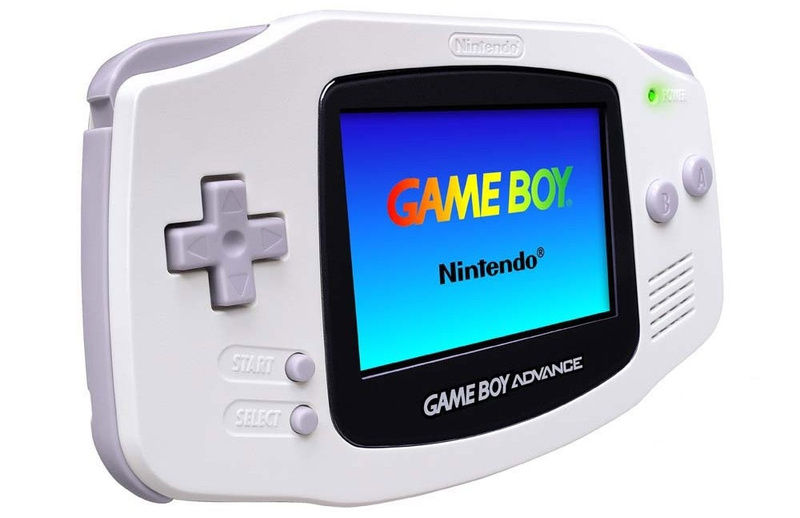 look how great the gba looks though it's just historic design wise , I feel Nintendo have gone down a generic route from the DS lite onwards playing it safe with squares . When i think though GBA was an all time classic , There are many games which are very much playable and hold up good today . Had Black Hole Rising truly made the list, it would necessarily be my vote. Too bad this isn't one of those "pick 3" polls. Unfortunate that Mega Man.EXE/Battle Network didn't make the list. That was an exciting, involving, and atmospheric action RPG: a brilliant new direction for Mega Man's anniversary of the time (though I suppose it's appropriate, as we can't talk about him, anymore) and it was fantastic early witness of what the GBA was capable of. Sadder still that mediocrity such as Minish Cap even made the top 10, much more so that it has the most votes, but to each his own opinion and experience. Advance Guardian Heroes has always been tragically underrated, too. A game packed with action and so many characters to unlock like that one never deserved the scathing remarks it's received just because it can't handle all that's packed into it at all times. "naturally we've had to leave plenty out - that's what the comments section is for." Golden Sun?! Also, i voted Castlevania: Aria of Sorrow, played through it a few times, then bought a DS Lite and Dawn of Sorrow as my first game. Man i miss the GBADS CAstlevania games, i wish they'd give us a new one (in the same Metroidvania style) for the 3DS. There are a decent amount of GBA titles I have never gotten around to playing. I own a lot of GBA games, but since I got the console when I was younger, I own a lot of third-party games designed for younger children in mind (I remember having this sweet Nickelodean game like a side-scrolling Pokemon Snap). I might just get around to picking up games like Golden Sun, Metroid, and Advance Wars this summer. Rhythm Tengoku should really be on this list! Ahh! My favorite video game system. So many good times and memories. I've played all of the great games on the list and many other wonderful titles in the GBA library. From playing my first Advance game, Advance Wars, during endless traveling, going through Circle of the Moon and Pokemon with friends, experiencing Zero Mission and Fire Emblem when I was so far away from home, logging tens of hours into both Golden Sun games, along with Minish Cap and Link's Awakening, Oracle of Seasons, Mega Man Battle Network 4, FFV and VI, Kirby's Adventure, Game & Watch Gallery 4, Harvest Moon..
And others.. Man, I love that thing. Back when I first really got into gaming, there was the GBA. You forgot Golden Sun, Sword of Mana, Mega Man Zero 1-4, MM&B... Hehehe. The ninja game looks awesome, but the ebay prices are insane. Minish Cap is overrated, just saying. Golden Sun! Golden Sun 2! Minish Cap best 2d Zelda. Iridion II beautiful shmup from Shin'en. Mariokart Super Circuit get the hell out of here you stink! Forced to choose between some of my all time favorite GBA games... you rascals. I chose Minish Cap, but Superstar saga and Fire Emblem were very very close. I will definitely have to try out Ninja Cop! Sounds like a blast! Why wasn't Golden Sun on this list BTW? Playing Minish Cap and Fusion on the Wii U VC and looooooooving it! You could easily extend the list to 20 for any of the Nintendo console (aside for the Virtual Boy, Game Cube and Wii U perhaps) there are just so many great games out there. I think this was a good overall list, nice and varied although it would be nice to have a separate list for games not developed by Nintendo. How could you not include a Pokémon game on the list?! My official vote is for Fire Emblem although I would have voted more for Fire Emblem: Sacred Stones, and made Wario Ware Inc. my second selection. Love my SP. I have all of them for it, except Fire Emblem (but I've got Sacred Stones through Ambassador 3DS) and Chuchu Rocket which I have for Dreamcast. The only one I haven't heard of before is Ninja Cop, gonna have to look for it. My fave on the list is Minish Cap, beautiful. It's cruel to recommend Super Mario Advance 4, as it's not available yet in Europe! Any news on when it might be hitting the old continent? How many people looked up Ninja Five-O only to gawk at it's ridiculous asking price? I used to own that one, and it is fantastic. I have to agree with so many people commenting on this list however. I am not a Pokemon fan, but how can that and Golden Sun be omitted from the list? I think Mario 3 could have come off the list considering it's just a port. Chu Chu Rocket and possibly even WarioWare could have come off as well. Also, I've gotten into Advance Wars thanks to Wii U. I LOVE that series now. I'm glad to see it make the list. I am both surprised and pleased that ChuChu Rocket made the list. I was ranked #3 in the world on the Dreamcast version, and it's the reason I bought a GBA. Arguably, the Dreamcast version is better, but 2600 puzzles on the portable version makes it an incredibly good purchase. The thing I don't understand, though... ChuChu Rocket is totally hanging out on my Wii U menu... does that mean it's only available in Japan??? If so, why?? @Joker13z That, and Astro Boy: Omega Factor. That game was AWESOME!! What about the Sonic Advance series? They're very good for those who want classic 2D Sonic without playing the Genesis games! So instead of having Golden Sun and the Gen 3 Pokemon games, you have Ninja Five-O and Chu Chu Rocket? I don't get how Fire Emblem got on the list over Sacred Stones. To this day, I don't get how anyone thinks Fire Emblem is better then Sacred Stones. Sacred Stones has branching promotions, bonus battles, monsters thrown onto some of the maps, two full storyline paths with both Erika and Ephraim getting their own chapters, and in my opinion, one of the best stories out of all the Fire Emblem games. Not to say Fire Emblem 7 is not a bad game, but Sacred Stones not only vastly improves on that game, it pretty much exceeds that game. So, my major issue with the list is that Sacred Stones did not get in over Fire Emblem. I mean, the reason itself is a joke. Fire Emblem 7 made the list just because it was the first one to arrive outside of Japan? @Caryslan You and me both. I love Blazing Sword, but I LOVE (all caps) Sacred Stones. The one area I think it loses to Blazing Sword is on balance and difficulty, but Sacred Stones expands on so much of what Blazing Sword did, has the best (easily) soundtrack of the GBA trio, has a much more somber tone than the Elibe games and a very poignant story (one of the best stories in this series). Plus Ephraim is my favorite lord in the whole franchise. And though people criticize SS for being too easy, some of the maps mid way through and later can get seriously difficult especially on hard difficulty. Consider chapter 19 where there's tons of powerful monsters including those gorgons that can use magic that does like 30 damage to a unit on average and can target you from like 10 spaces away. If you get unlucky on a map like that you're likely to end up with at least one toasted unit. And then there's the fact that they can also temporarily turn units to stone. @Giygas_95 To be honest, I think Sacred Stones does a better job with balance simply because it gives the player more options. It's easier to build up weaker units like Clerics then in Blazing Sword, and you can access your inventory in battle without having another unit to protect(I hated having to defend the merchant). That's the beauty behind Sacred Stones that people don't get. You can ignore the bonus maps and the tower and play only the storyline chapters, and the difficulty curve is about where Blazing Sword was. I think that Sacred Stones has the best balance out of all the Fire Emblem games outside Path of Radiance. Awakening has the same core ideas as Sacred Stones, but goes down a much easier path given the pair up mechanic and the fact that abilites can be overpowered at times. Yeah, you can powerlevel your units in Sacred Stones, but the bosses and enemy units remain just as hard. Ike is my favorite lord in the series, but Ephraim is a close second(with Lucina being third). But my favorite cast has to be the one in Sacred Stones. The Supports in that game are good. Especially the Erika/Seth one. Its such a shame that Sacred Stones not only gets little credit from fans, but from Nintendo. If you think about it, Sacred Stones is the only post GBA Fire Emblem that did not get any content in Smash 4. Fire Emblem 6 has Roy as a Playable Character, Blazing Sword has Lyn as an assist trophy, Both Tellius games have Ike, the remakes of the first two Fire Emblem games(Shadow Dragon and FE12) have Marth, Awakening has both Lucina and Robin as playable characters with Chrom making an appearance, and even Fates has Corrin in the roster. But despite the decent amount of Fire Emblem content in Smash 4, Sacred Stones got nothing. Which is a real shame, because Sacred Stones is a real gem that stands up not only to its GBA siblings, but to other games in the series as well. @Caryslan I hadn't thought of the balance that way, but I see your point. And yeah, it's a shame that it doesn't get more representation like the other games. I also agree about the cast. It's one of the best in Fire Emblem. Some of my favorite supports are the ones between Ephraim and Eirika. They're very touching and show how close the two siblings are to each other. Also it'd be so amazing if Ephraim and/or Eirika made it into Smash in the future. Preferably Ephraim since he's a Lance user. I know its been said a billion times already... but GOLDEN SUN!!! Wonderful system, the GBA. Like another commenter experienced, the GBA restored some enthusiasm for gaming that I had lost due to changes in game design. Of course, a list of just 10 leaves out so many great games on the system, so I have no complaints. I voted for Aria of Sorrow here. I just replayed that last summer and it was a great experience, one that is superior to the Metroid games in my opinion. As for Metroid, I replayed them both some time back and found Fusion to be more enjoyable. Again, just my opinion and a matter of style. As for Ninja Five 0, I was lucky enough to take notice of the good reviews when it came out and bought it shortly after release. I just replayed it a few months back. As others have pointed out, the Mega Man Zero games are great games not represented here. I had the first one on the GBA, then got the DS collection for the rest several years ago. Great games. I can't remember which one was best, probably two or three. I love Zelda, but my favourite is Mario+Luigi. I have had lots of fun from that game. I also wasted 150 hours on Pokemon Emerald, but it is too locked down so impossible to 'catch them all' so to speak and I don't know another living soul with the game. Fire Emblem is almost impossible to get hold of for some sane price. Advance Wars though... I have played the ones on the DS, so might give it a try sometime. Mother 3? Most people don't speak Japanese. This website claims it does not promote 'piracy' (although I would argue that term is corporate propaganda designed to prevent sharing of media), but we all know that we can just patch the copy we were 'given' for emulation.